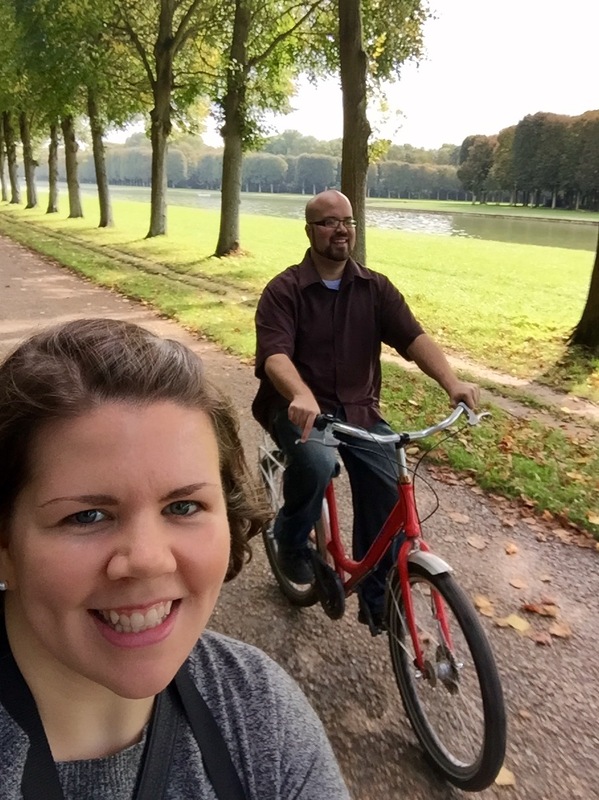 That Time We Won A Free Bike Tour of Versailles! I am a planner by nature. I research, make lists, weigh all my options and map out strategies. This is the case with most areas in my life, both at work and at home. And so when we decided to go on a trip to Paris for our late honeymoon/1st anniversary, I made it my mission to hunt down all the information I could get my hands on. I quickly found that travel blogs were a favorite source of travel tips and tricks, because bloggers are usually great at finding the unexpected – things that are a bit off the beaten path or that you wouldn’t normally see in your typical travel guide . 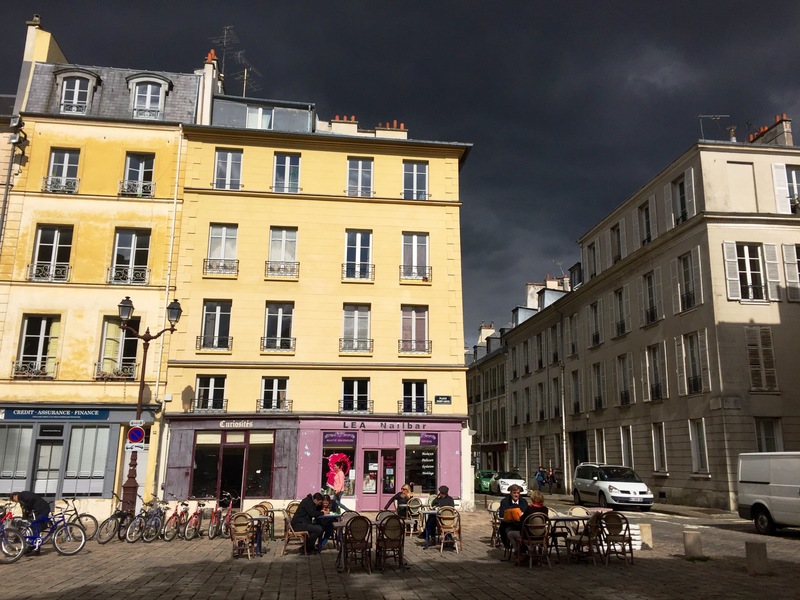 This is how I came across Lost in Cheeseland – an engaging blog by an American expat living in the city of lights and writing about her many adventures (and so much delicious food). 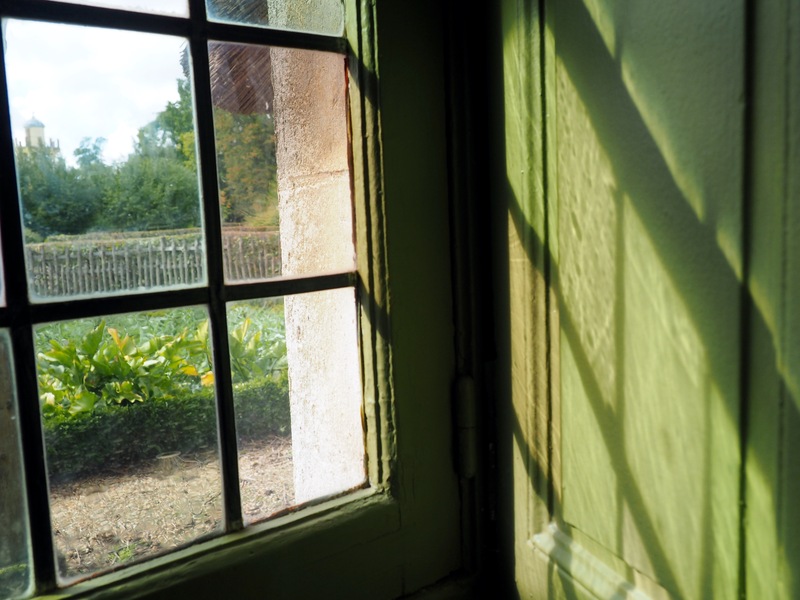 If you are a Francophile, or are just in need of a nice escape, I definitely recommend subscribing. 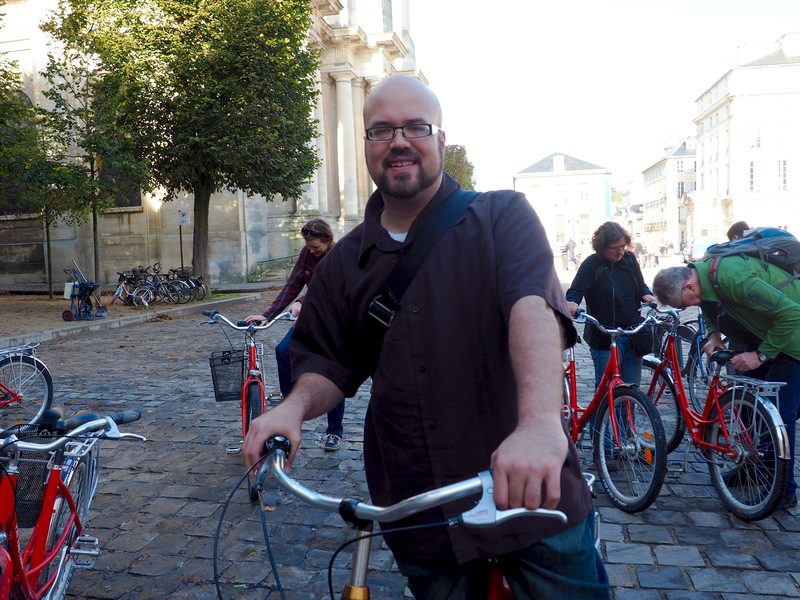 A few months ago, Lost in Cheeseland was partnering with Fat Tire Bike Tours for a giveaway: a free tour for two of Versailles. In truth, Eric and I were still somewhat on the fence about if we even wanted to visit this infamous Paris suburb (and former home to French royalty), but since our trip was right around the corner, and signing up was so easy, I figured it would be silly not to at least throw my hat in the ring. To be clear, I did not think for one second that I’d have a chance of winning (I mean, who wins these things?). Welp, I did! That’s right. And when I got the e-mail confirmation telling me as much you could have knocked me over with a feather. What had started as a tentative possibility on our growing Paris bucket list, turned into one of our favorite days of our whole trip! I’ve never really been one for guided tours, instead generally preferring to explore on my own. That said, I loved Fat Tire Bike Tours! The groups are relatively small (ours was about 14 people total) and our guide was so engaging and knowledgeable. If I’m honest, we both were kind of relieved to be able to shut our brains off for a day after a week of endlessly translating and navigating our way through a foreign city. 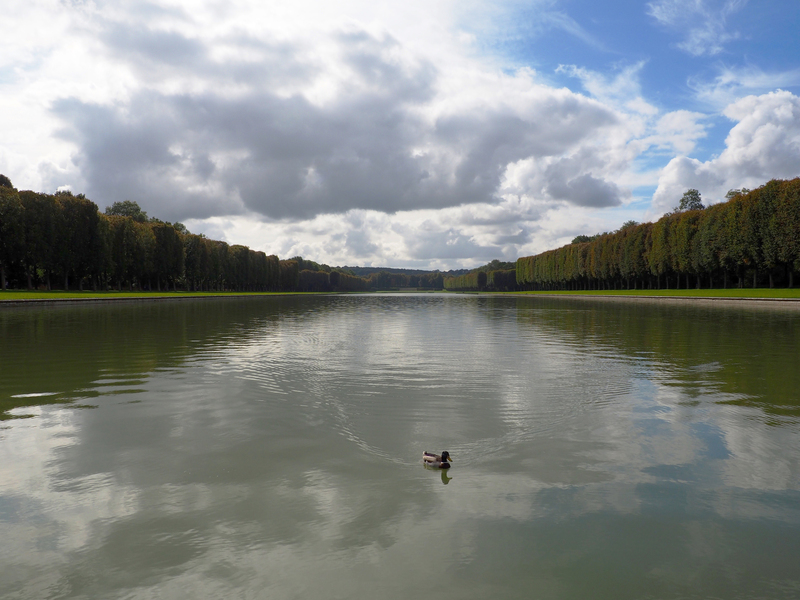 Being a tourist can be as exhausting as it is fun, and given the sheer size of the grounds and palace of Versailles, I am pretty confident that there is no way we could have seen half as much as we did had we ventured there on our own. The sky was threatening rain all day, but thankfully it never came. Eric was not feeling the whole biking thing at first, but he ended up having a lot of fun. After meeting up with our guide and the rest of the group at the Fat Tire Tour offices in Paris (just a stones throw from the Eiffel Tower), we set out on the train to the town of Versailles (note: all Metro tickets are included in the tour). It’s a very pleasant thirty minute ride and as soon as we arrived we were able to pick up our bikes and practice riding them around the square before heading to the Marché Notre-Dame for picnic supplies. 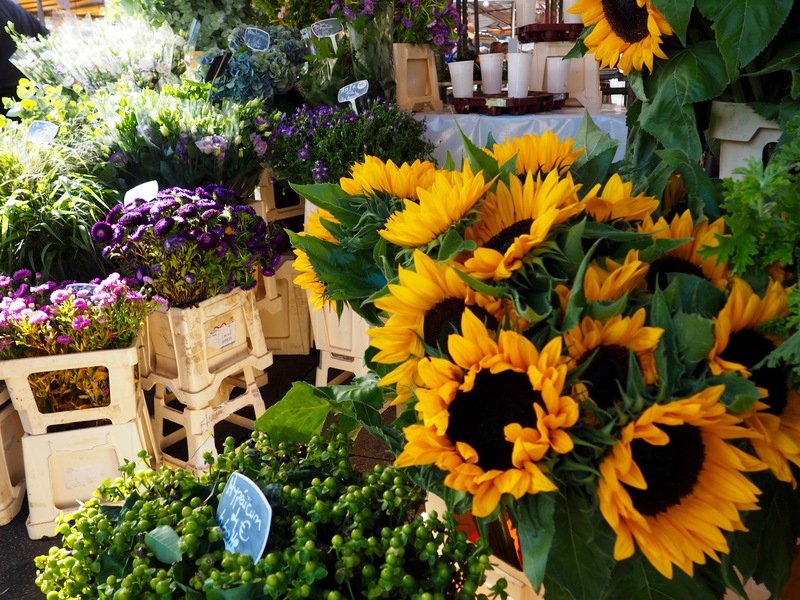 I so wished we could take home a bundle of these beautiful sunflowers. 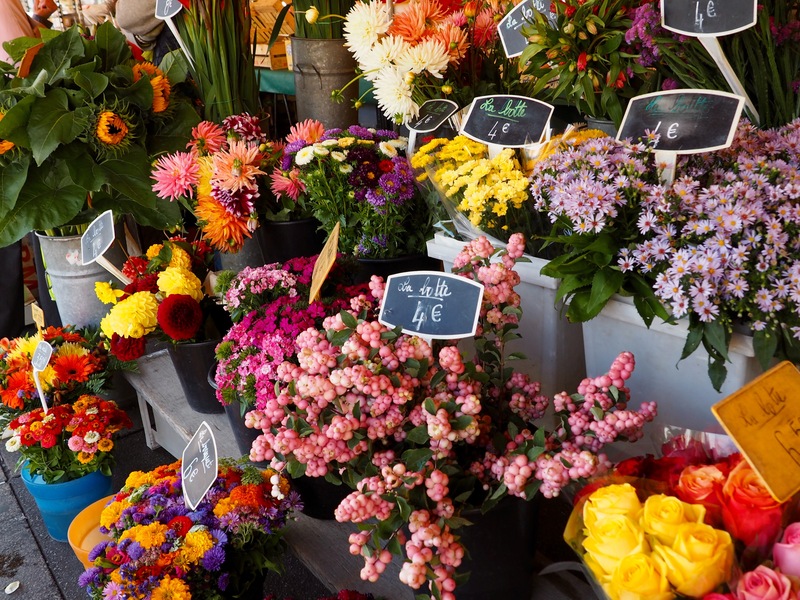 This massive open air market was one of our favorite parts of exploring Versailles. There was a tangible energy in the air – the hustle and bustle, the sense of community, and, of course, the food. The French have such a wonderful appreciation for food, including where it comes from and how it is prepared. To share in that gives you the distinct sense that you are apart of something truly cultural and authentic. 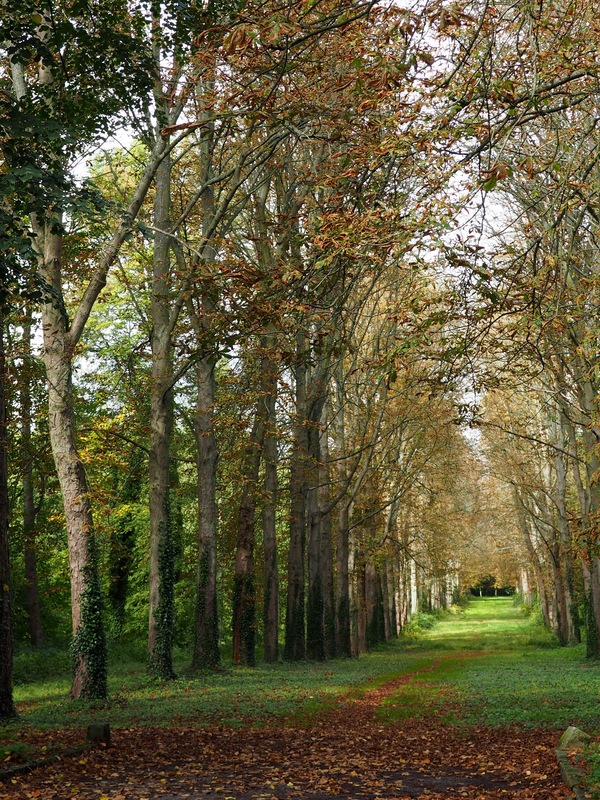 The grounds are massive, and filled with endless, tree-lined paths to explore. 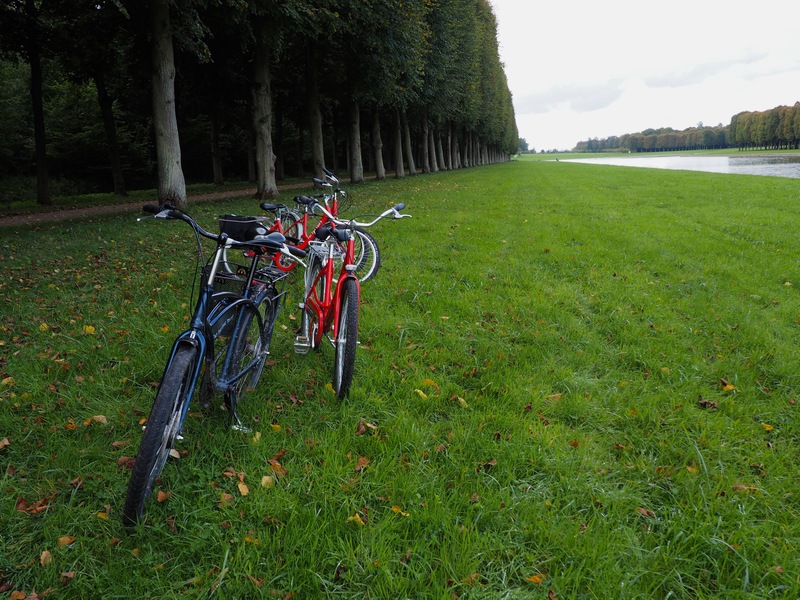 Versailles by bike is the way to do it! 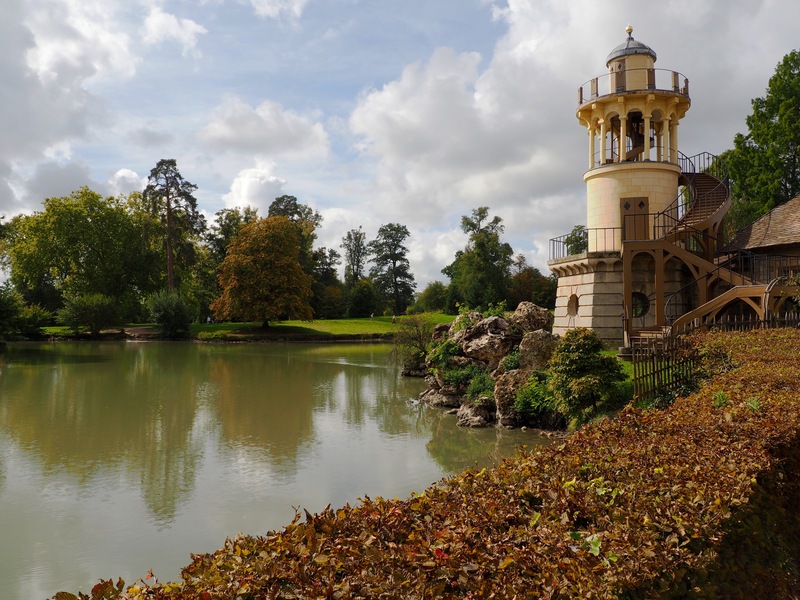 After the market, we were off on our bikes to explore the beautifully vast grounds and gardens, beginning with Marie Antoinette’s hamlet. According to our guide, the young Austrian princess was so bored and stifled living in the palace, that she actually had this small peasant town built where she could escape for the day (#18thcenturyroyaltyproblems). 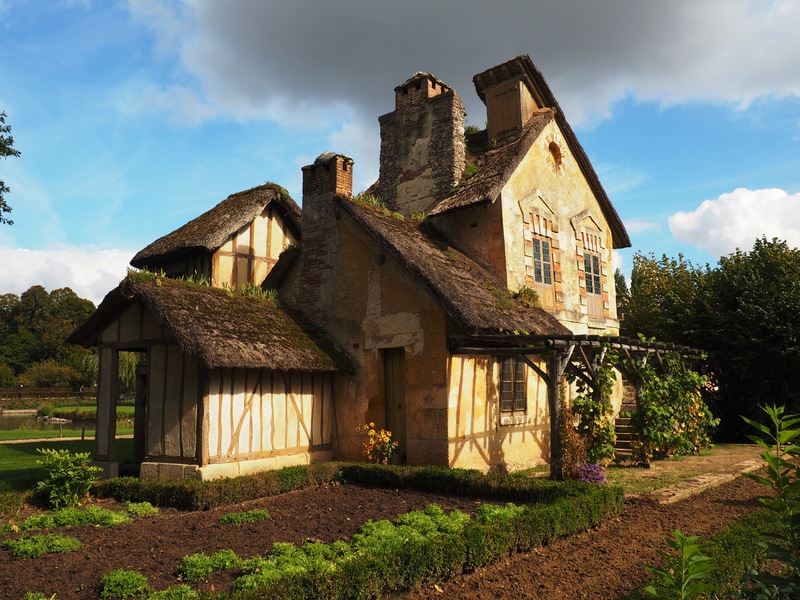 One of the estate’s eleven houses, built to represent a typical village in Normandy of the time. Only one of the cottages is open to the public, though it is pretty much empty. 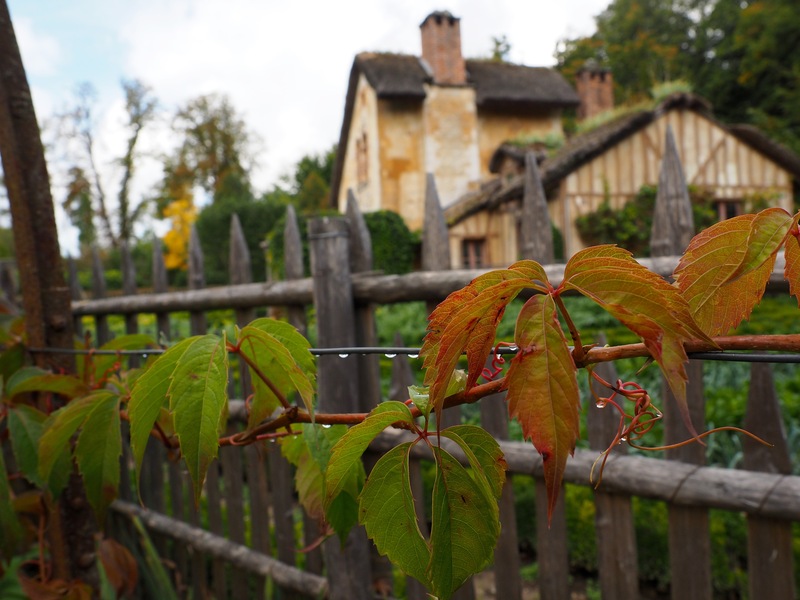 She employed a number of peasants to live there to maintain the grounds and the working farm and mill. It is worth noting that French citizens were generally pretty peeved with what they viewed as the Queen’s lavish lifestyle. After all, while she was playing pretend as a royal peasant, most of the country was living in actual abject poverty. Biking around this massive canal was definitely a fun experience. I couldn’t imagine us having to complete the journey on foot AND having had time to stop for our picnic on the water. 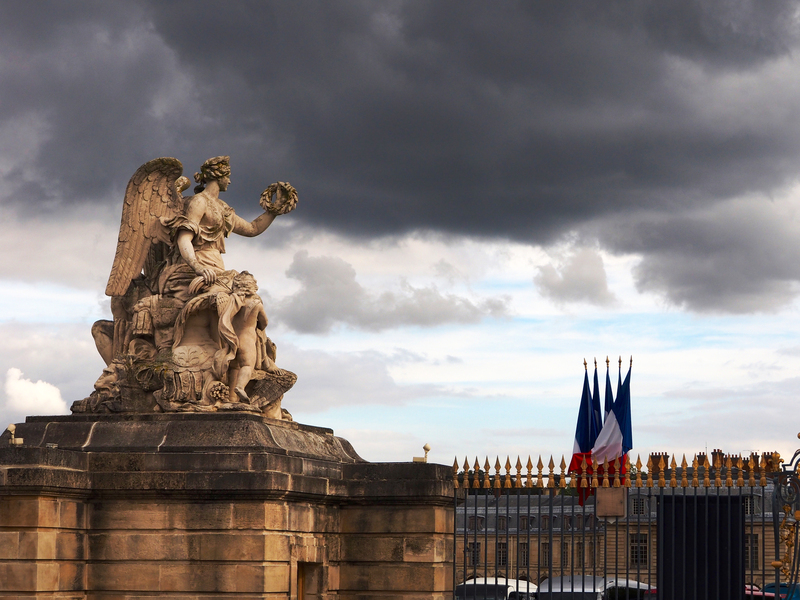 Mid-afternoon, we dropped off our bikes and made our way on foot to the palace entrance. Another great thing about Fat Tire Bike Tours? No waiting in line! 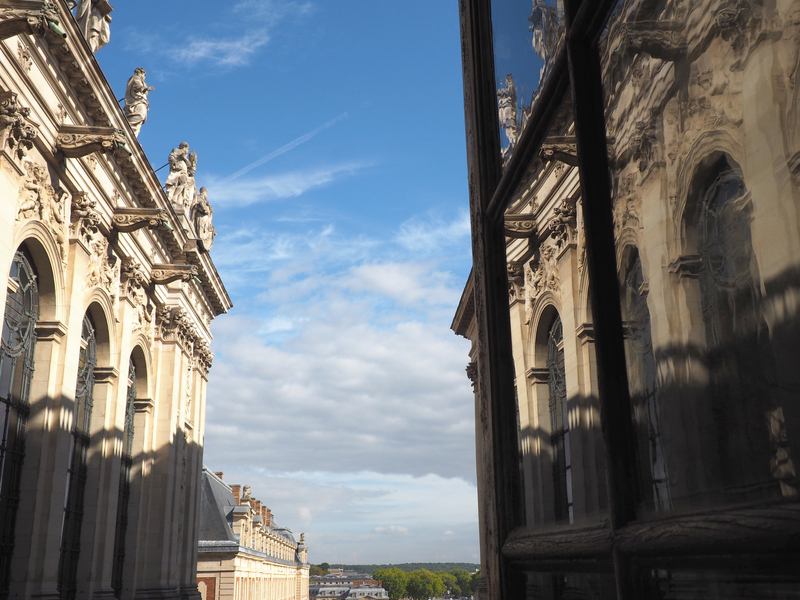 We were able to go right in, where our guide handed us our train tickets back to Paris and gave us the option of exploring for two hours and meeting up with him to return to the city, or venturing back by ourselves. As much as we enjoyed our group, we chose the latter so that we could take our time exploring. While both of us had the most fun exploring the grounds, the actual palace is pretty incredible (you know, if you like that whole gilded/gold thing). 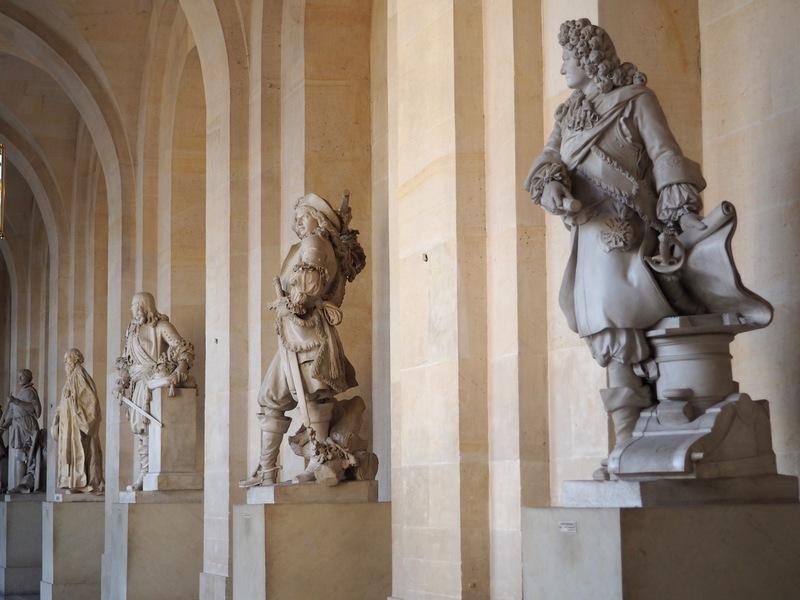 Originally built by King Louis the XIV, it was home to three generations of French kings and queens, up until poor Marie and Louis lost their heads in the Revolution. This two-story chapel is designed after the Sainte Chapelle (Holy Chapel) in Paris. A view of the ornate palace exterior. 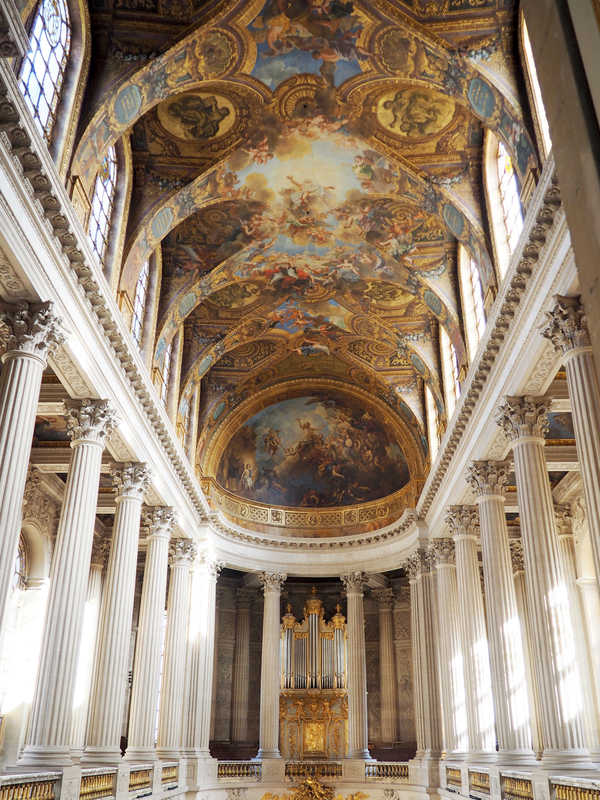 I still can’t believe how close we came to skipping Versailles all together! What a loss that would have been. I am so happy that we didn’t miss out on this awesome experience, because even if we hadn’t won that tour, I would have gladly paid to take it had I known how awesome it would be. You can read more about our adventures in Paris here!